Local review sites like Yelp have irrevocably changed the way consumers find businesses in a particular area, and truly given power to the consumer in finding the best place to eat a meal, grab a drink, etc. And the potential of putting local reviews and listings on mobile devices is immense. Yelp’s existing iPhone app is less than a year old and it already accounts for 5% of Yelp’s overall traffic, which adds up to be around roughly 1 million monthly visitors. 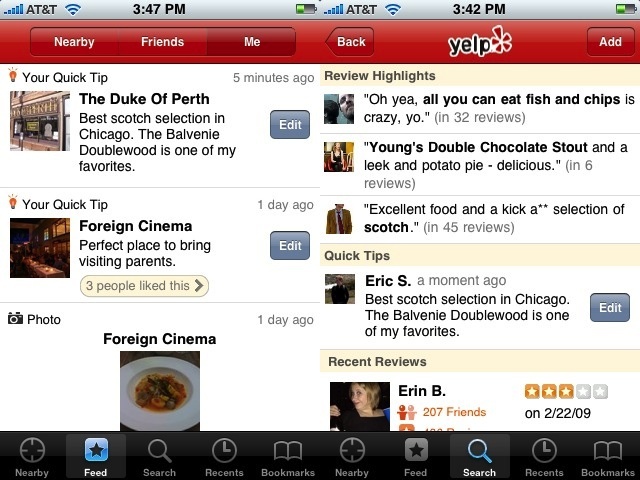 In the next few days, Yelp will be launching a new version of its popular iPhone app which we’ve reviewed. The new app gives consumers even more ease in automatically reviewing businesses via their iPhone and enhances its exiting GPS capabilities. The updated version of the app now lets Yelpers write review directly from their iPhone through a Twitter-like “Quick Tips” feature that allows users to create 140 character tips. This was sorely lacking in the original version. 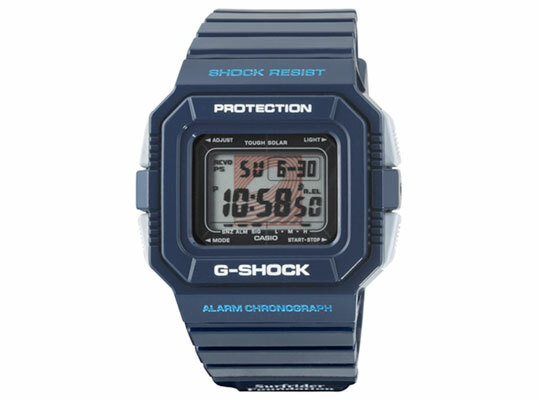 The tips will be accessible on the iPhone app and the site itself (if popular) and will also be shown in a feed using GPS capabilities when users search businesses. Like before, the app leverages GPS in the iPhone to list reviews, tips, and photos written and taken around a users location. The app will also feature a Friend Feed feature that will pull in your friends activities. 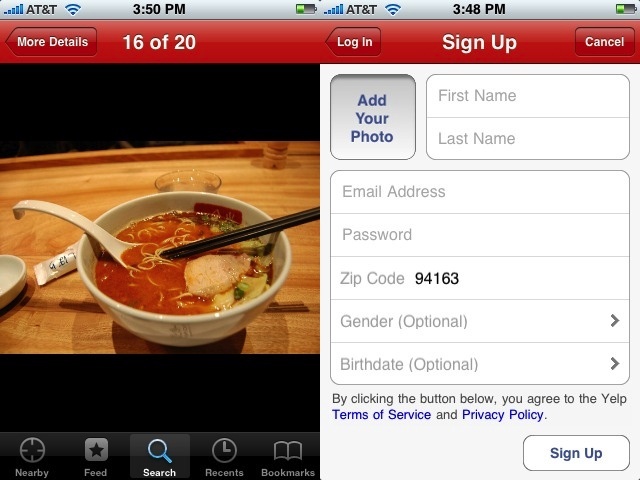 Users can also draft a full review of a restaurant, bar or business from their iPhone and then post it later to Yelp.com. Yelp is also upgrading the app to become more compatible in Canada and the UK. Since its launch in 2004, Yelp caught on pretty quickly and has seen consistent growth. Yelp currently has over 5.5 million reviews in the site. Google Analytics says Yelp has had 20.5 million unique visits in the past 30 days. Comscore’s estimate for February was a little more conservative, at around 7 million unique visits for Yelp.com. But Yelp’s monthly unique visits more than doubled from the same month, last year. Along the way, Yelp has decimated most of its competitors. Insider Pages laid off 2/3 of their staff and sold quickly to CitySearch in February 2007, Intuit said “goodbye” to Zipingo in August 2007, and Judy’s Book closed their doors in October 2007. CitySearch remains as Yelp’s lone competitor in the local reviews space. To date, Yelp has raised 31 million in capital. The combination of local reviews and mobile is so compelling because Yelp now allows consumers to post reviews as they are eating, drinking or visiting a business. Think about the review of a restaurant that had bad service. Likely, the consumer will be emotionally charged about the poor service. Before the iPhone app, the consumer would write the review after the restaurant visit, when he or she had cooled off a bit. Now, the angry consumer can enter a particularly distasteful, and emotionally charged review directly from the restaurant’s table. Additionally, the combination of using GPS to see reviews of businesses directly where you are in an area is fascinating. Yelp is making it incredibly easy for consumers to quickly access listings, reviews and ratings of businesses without having to input there location. Of course, the transparency and potential negative backlash businesses can suffer from sites like Yelp or CitySearch, has ignited businesses to fight back. Businesses have started anti-Yelp websites and even sued Yelp users for negative or unfair reviews. Yelp lets businesses fight back with a suite of tools to take part in the conversations consumers are having about their businesses. Yelp’s next move should be incorporating Facebook Connect with its site and iPhone app. Currently, you can add Yelp friends on the site and get personalized feeds of reviews from people who are your friends and random people who share your local restaurant or bar tastes. But it would be really cool to be able to see your Facebook friend’s reviews of local businesses, similar to MySpace Local, a partnership between MySpace and CitySearch to combine CitySearch business listings in the MySpace community.